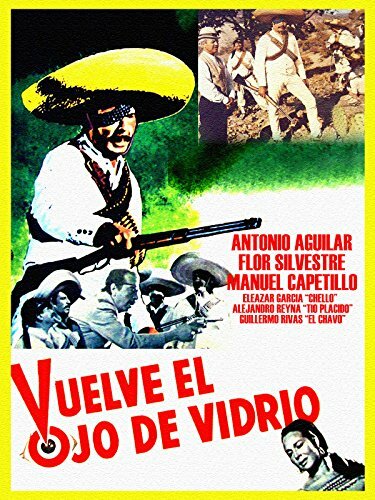 Upon hearing the news of Madero's death, Porfirio Alcal叩 and his four cousins interrupt their peaceful lives as farmers to again join the Mexican Revolution. Upon hearing the news of Madero's death, Porfirio Alcal叩 and his four cousins interrupt their peaceful lives as farmers to again join the Mexican Revolution. After the "presumed" end of the Mexican Revolution, Porfirio Alcal叩 and his four cousins peacefully become farmers. Albeit when Fregoli brings to them the news of Madero's death, the five cousins leave Palo Quemado to resume their lives as revolutionaries. The now one-eyed Melit坦n returns and abducts Coralillo and Cocorito in a secret plan to ambush and kill Porfirio and his cousins. However, Porfirio successfully sieges Melit坦n's outpost and rescues Coralillo and Cocorito.